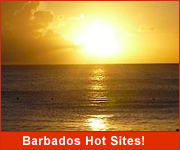 Beautiful coral stone homes, full service office buildings, luxury villas, modern hotels and resorts, historic plantation houses, regal churches and the modest chattel homes are the hallmark of Barbados. 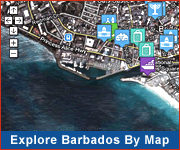 Leading the Caribbean from the early days of sugar through the Tourism boom and into the Offshore Business arena, Barbados has developed a distinctive structure of services and facilities. It is an attractive place to live, with a vibrant economy in a stable setting with excellent infrastructure. It is no wonder that the world's richest families build elegant mansions on the islands shores, movie stars rent villas and companies have discovered its business benefits. 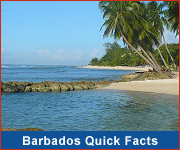 With it's warm climate, social and political stability and friendly people, Barbados is the perfect place to purchase that retirement house or holiday home. The Crane Private Residences - The Art of Island Living. These spacious two and three-bedroom residences are uniquely positioned as a gated residential community within The Crane Resort, complete with world-class amenities and services. Beach Houses - Really Get Away. Beach Houses feature floor-to-ceiling glass windows for spectacular ocean views, 2 infinity edge private pools with hot tubs, private patios, outdoor showers, hammocks, BBQ grills and built-in owner’s storage. Looking to rent or buy a luxury villa, call Ronald Stoute & Sons Ltd., Real Estate Agents and Valuers! Choose from luxury homes and villas to condominiums and town houses. The popular beach front property of the West and the South coast is home to splendid luxury villas, while new areas of development and investment are opening in the North and East. The Port St.Charles marina in Speightstown in the north-west of the island offers spectacular luxury villas at the water's edge, while fairway homes and villas are available at the luxurious Royal Westmoreland Golf Club on the West coast and at Rockley Golf Club on the South coast. If you are purchasing a holiday home, a local property management company can arrange rental of your property when you are not occupying it, providing an immediate financial return on investment.